Love the owl!! My girls would love to see this! 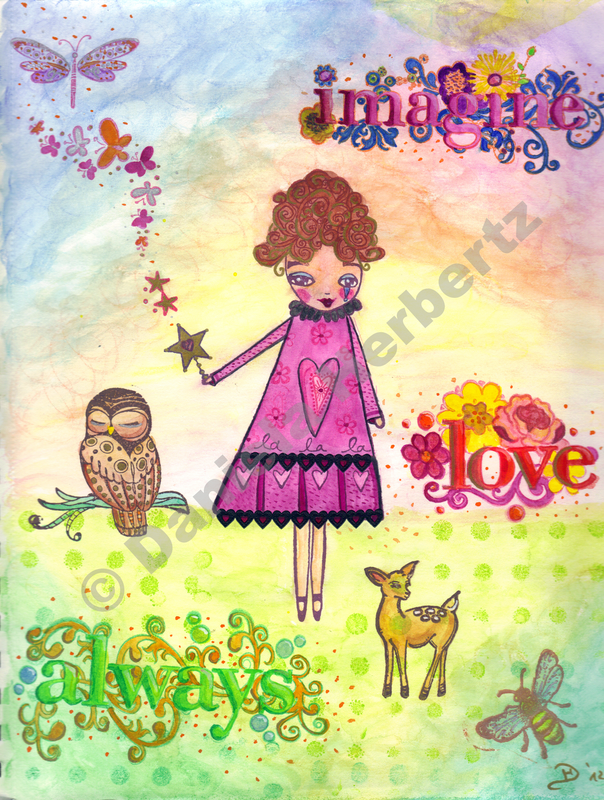 Me too – I love the sleepy owl and the pretty green ‘Always’…..
Hello,if this is your beginning in mixed media art you are a talent. I love all your bright colours and the way you put it all together. Keep going girl, you’ll be great.